And it was not easy. she did art and poetry. SOURCE: Salma Hayek interview conducted by Rebecca Murray and Fred Topel around the time of the 2002 release of Frida. 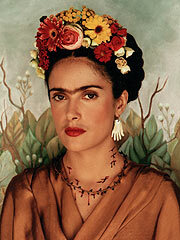 IMAGE: Salma Hayek as Frida Kahlo in the 2002 film Frida. NOTE FROM THE AUTHOR: For many of us who grew up in the Mexican culture, Frida Kahlo has been part of our lives since childhood. Her “rediscovery” by the general public was somewhat surprising (for some) but quite welcome. If she were alive today, I believe she would have used the Internet, Twitter, Instagram, etc., as yet another canvas. I Googled Frida Kahlo and found an interview with Salma Hayak who played Kahlo in the 2002 movie Frida which was based on the truly remarkable 1983 biography by Hayden Herrera. 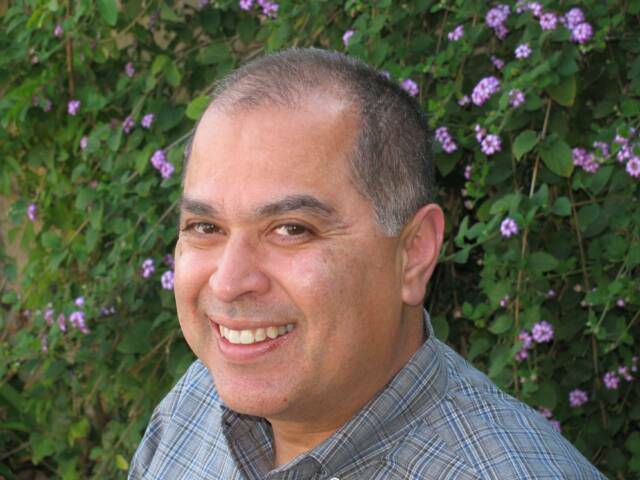 ABOUT THE AUTHOR: Daniel A. Olivas is the author of seven books including the award-winning novel The Book of Want (University of Arizona Press), and Things We Do Not Talk About: Exploring Latino/a Literature through Essays and Interviews (San Diego State University Press). He is the editor of Latinos in Lotusland: An Anthology of Contemporary Southern California Literature (Bilingual Press), and has been widely anthologized including in Sudden Fiction Latino (W. W. Norton), and You Don’t Have a Clue: Latino Mystery Stories for Teens (Arte Público Press). Olivas has written for many publications including The New York Times, Los Angeles Times, Los Angeles Review of Books, High Country News, and California Lawyer. Visit him at danielolivas.com.